Only £3,295 per person. Price details Book now! Arrival in Moscow. Our representative will meet you at the international airport. Transfer to the hotel. Optional – guided city tour of Moscow. Breakfast in the hotel. Transfer to the local airport for your flight to Baikonur, airport Krayniy. Flight duration – approximately two and a half hours. 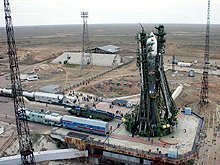 Arrival in Baikonur. Transfer to the hotel. Check in. 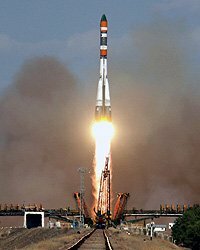 In the afternoon we will enjoy a guided tour of the Cosmodrome History Museum followed by a sightseeing tour of Baikonur town. Dinner. Free time. After breakfast in the hotel we drive to the observation platform to witness cargo spacecraft launch from a distance of just 1.5 miles. This is close enough for you to observe the rocket start and enjoy breathtaking views of a spacecraft heading into the universe. After successful launch we go to Assembly and Test Facility 112. After lunch we will visit Gagarin’s launch pad erected in 1957 and used for launch of the first satellite and the first man in the history of space exploration. Dinner. Free time. 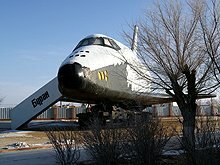 After breakfast we will visit the Museum of Baikonur where you will enjoy a large collection of unique objects used for space exploration including the first Lunar Globe and Yuri Gagarin's personal belongings. We will also visit Gagarin's and Korolev's Memorial Houses where they lived before the first spacecraft launch. 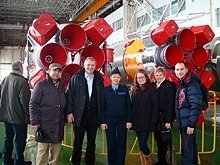 We continue our fascinating Baikonur exploration and visit the legendary Buran spacecraft - the only completed and operational Russian space shuttle developed under the Soviet Buran programme. 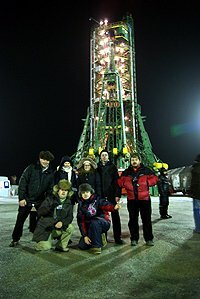 After lunch we go to the launching site of Energia rocket and the biggest universal complex “Stand Start” which provides the vertical Buran launch. Traditional Kazakh dinner in a yurt. Free time. After breakfast we will visit a local market where you will be able to buy souvenirs. 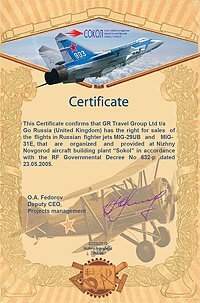 After lunch transfer to the airport for your flight to Moscow. Arrival in Moscow late in the evening. Transfer to the hotel. Breakfast in the hotel. Transfer to the international airport for your flight back home.